Valentine’s Day means roses and chocolates for many people, but they’re not the only holiday gifts. If you received an orchid as a gift for Valentine’s Day, you may be wondering how to properly care for it. It will help to first identify it so that you can know its specific needs. It’s usually not necessary to find the exact name, but instead to know what family of orchids it comes from. That way you can understand the growing conditions that will help it thrive and bloom again. 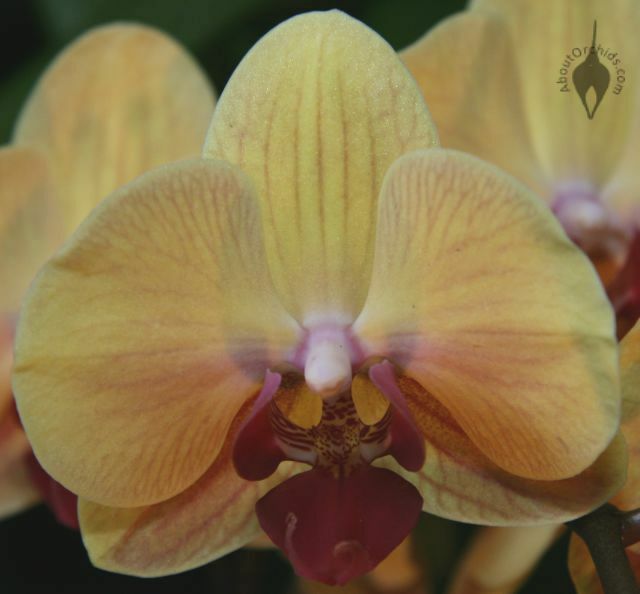 The most common kind of orchid sold is the Phalaenopsis, or Moth Orchid. If the shape of your flower looks like the picture below, then that’s probably what you have. Remember that they come in many different colors and patterns, so it’s the shape of the flower that really helps in identification. Light – Give orchids bright light, but no direct sun. Water – Water them thoroughly once or twice a week — more when it’s warmer, less when it’s cooler. Make sure the water drains completely out of the holes at the bottom of the pot. Never leave the plant sitting in water! Fertilizer – Add diluted plant fertilizer when they are growing. Air movement – Provide gentle air circulation for the plant. Humidity – Provide some humidity for the plant; orchids do not like dry environments. Proper temperatures – Keep the daytime temperature between 65°- 75°F /18°- 24°C, and a few degrees cooler at nighttime. This entry was posted on Sunday, February 15th, 2009 at 9:13 pm	and is filed under Growing, Photos. Thank you! I received an orchid as a gift yesterday, and I’m scared to death that I’ll kill it. I think I have a pink phalanopsis. It’s very pretty, and it’s shaped like your picture. Thanks for the instructions on your site. If I don’t kill it, how long will the flowers last? Happy Phalaenopsis flowers can stay in bloom for weeks or even months. Follow the basic care info for Phals, and especially be careful to maintain good humidity. Dry air can quickly make the flowers wilt. Enjoy your valentine’s gift! When I give orchids as a gift, I give instruction for care also. Everybody is so scared when they see orchid present because they are always afraid of killing it, but it is not tough to care for.